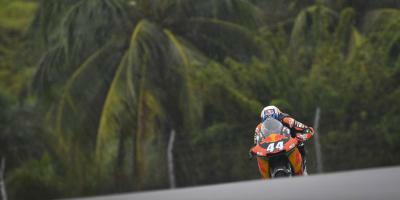 Miguel Oliveira (Red Bull KTM Ajo) took back-to-back wins for the first time in Moto2™ with a stunning demolition job at Sepang International Circuit, over five seconds clear at one point and putting in a faultless ride to the flag despite the late threat of rain. 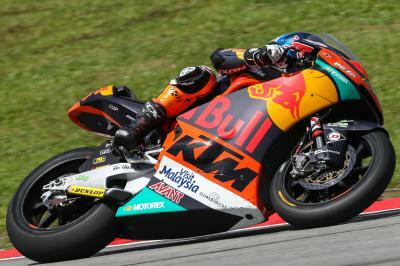 Rookie teammate Brad Binder made it another 1-2 for the Austrian factory as he took his second Moto2™ podium in second, able to get past new Moto2™ World Champion Franco Morbidelli in the latter stages. 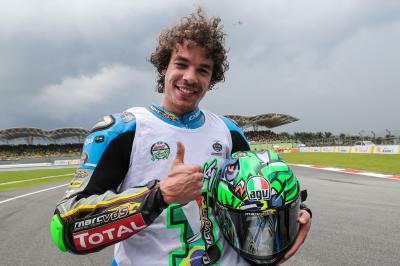 The number 21 – who has led the standings all year – completed the rostrum. 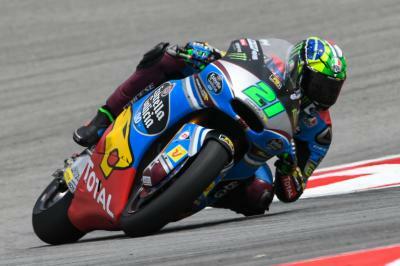 Earlier in the day it was announced that key title rival Tom Lüthi (CarXpert Interwetten) had been declared unfit to race, so Morbidelli’s 29 point advantage going into the Malaysian GP was enough to secure the crown. 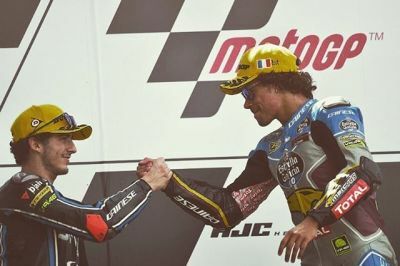 But celebrations waited until after the flag, when the customary number one was stuck to the front of Morbidelli’s EG 0,0 Marc VDS machine on the way back to parc ferme. Behind the fastest three in front, Mattia Pasini (Italtrans Racing Team) made a late charge to take advantage of the late rain flags and make it into fourth, three tenths ahead of Francesco Bagnaia (Sky Racing Team VR46) after the Rookie of the Year initially mounted a podium challenge then completed the top five. It was an even closer finish for sixth, with local hero Hafizh Syahrin (Petronas Raceline Malaysia) just catching and getting the better of front row starter Fabio Quartararo (Pons HP 40) by 0.078 seconds. Xavi Vierge (Tech 3 Racing) and Isaac Viñales (BE-A-VIP SAG Team) were two more close finishers, just 0.068 apart in P8 and P9 respectively. Tetsuta Nagashima (Teluru SAG Team) completed the top ten after a solid ride for his best finish so far. 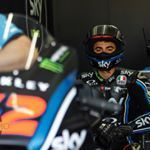 Simone Corsi and Augusto Fernandez (Speed Up), Andrea Locatelli (Italtrans Racing Team), Iker Lecuona and Jesko Raffin (Garage Plus Interwetten) completed the points scorers – with a number of high profile DNFs in the race, including one for Alex Marquez (EG 0,0 Marc VDS). Now the title is wrapped up and a little more history has been made, it’s back to European soil for the final circus of the season in Valencia. Check out the session in full with VideoPass and watch everything across the #MalaysianGP live or OnDemand - as well as an incredible range of extra features! The full race session at the #MalaysianGP of the Moto2™ World Championship. 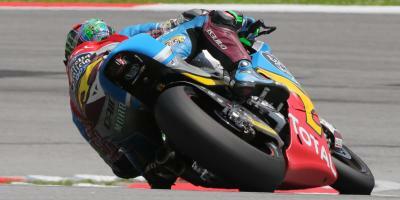 Morbidelli: "Taking risks was key to the Championship"